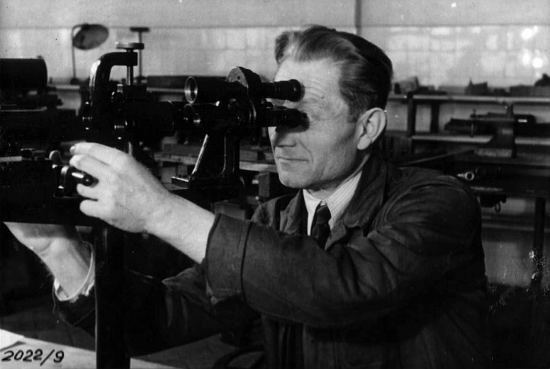 We are continuing the history of Polish Optical Industries. Let’s just remind here that the first part of the article encompassed the beginning and a very quick development which was stopped all of a sudden by the onset of WWII. During the occupation period Germans controlled the factory but still Polish workers were employed there. Its worth mentioning that events and people who worked there are the subject of the first parts of our PZO history cycle. Because of the character of that company we also list and describe in details optical instruments which were produced by PZO. We don’t enter, however, into a minute detailing of optical constructions– we plan to write separate articles about individual classes of instruments, produced by PZO. In July 1944, hearing that Russians crossed the Bug river, Germans were being evacuated from Warsaw in a hurry; it concerned also the German PZO management and workers from Jena. Germans didn’t have enough time to take the equipment from the factory so they were destroying ready products, vandalizing the machines and breaking precious control plates. Some machines were saved, though, and all production tools along with warehouses full of raw materials and other equipment. 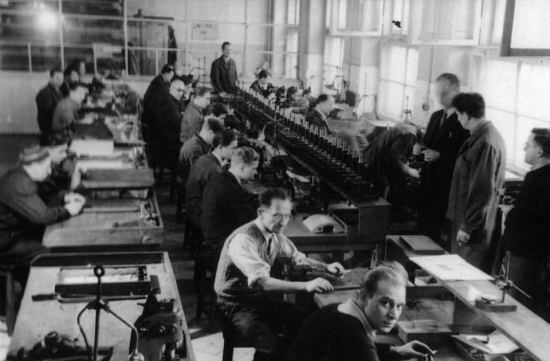 In order to prevent thievery, a group of Polish workers headed by engineer Cegliński barricaded the entrances to the factory and took turns to monitor the area. Unfortunately, after a very short time, Germans returned as if they put a curb on the previous panic attack; they had an order to evacuate all machines and other accessories. The machines were loaded on trucks and took to different railway stations. At the same time a unit of sappers started to deploy explosives in all buildings. It seemed that it was a death sentence for the factories but the PZO workers didn’t give up. They tried to save the factory at all costs. Unfortunately neither acts of sabotage, like cutting the wires leading to explosives, nor attempts at bribing soldiers who were deploying them worked. Finally people started to take precious measurement tools away secretly and there was even one desperate idea to hide a set of precise measurement tools in slap heaps lying in the boiler room, hoping that they could be still fit to use after some time, despite horrible storage conditions. Most of machines and devices was directed to a Chechoslovakian town called Teplice- Sanov. With the last transport also a group of PZO workers, along with Cegliński, was taken there. Among that group were people whose lives were saved by Cegliński. At that time people living in Praga, one of Warsaw’s districts, were being forcibly dislocated e.g. to concentration camps so Cegliński with engineer Bischoff, wearing a military uniform, picked out PZO workers from the crowd creating a separate group which was to be taken to Czechoslovakia. At the beginning of September 1944 empty PZO buildings were blown up. Only a pile of rubble and some bent steel was left. Near 60 workers perished during the war, the rest being dispersed in the country and abroad. After the Germans walked away, all buildings at Grochowska street 315 were completely destroyed. The seven-storey B1 building at Grochowska 318 was burned to the ground and only the 90-square-meter one-storey building, in which had been housed a workshop, was left. The only premise unscathed were buildings at Kamionkowska 13 (a block of flats, garages and a small workshop) but very soon they were occupied by the remaining dwellers of Praga. Kamionkowska 13 – buildings G (a block of flats), H, K, L with the total floor surface of 1,530 m2. 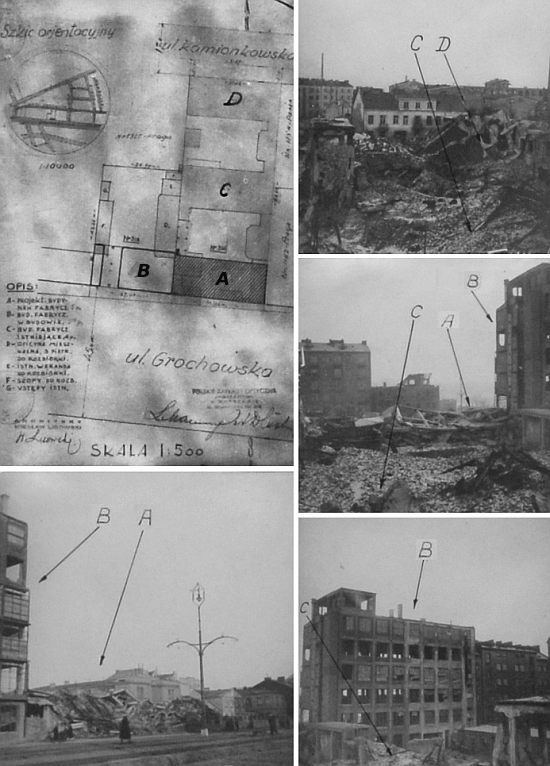 Several day after the withdrawal of Germans from the Warsaw district of Praga Stanisław Michnowski moved into the basement of the burned building at Grochowska street 318 in order to guard what was left. 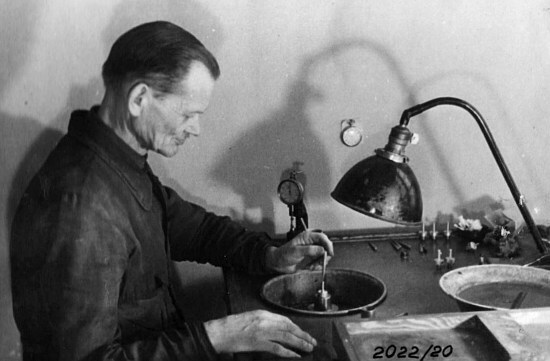 After the Soviet Army entered the Polish capital and the Polish Committee of National Liberation was activated the official care of the remains of the factory was given by the National Economy and Finance Department to engineer Jan Matysiak who in turn granted the appropriate authorization to engineer Edward Hein. Already on 2 October 1944 there was a group of 30 people willing to start the rebuilding of the factory. Among those were former PZO employees but also odinary inhabitants of Praga. Any activity on the area of the factory was virtually out of question, though. Heaps of debris and metal made it very difficult to even move around. The standing buildings didn’t have one single glass pane. There were no tools, no machines, not even one table available. The B1 building was used to create a makeshift workshop. Basic tools and tables were acquired from people living in the neighbourhood and the window openings were patched with glassed frames taken from vegetable garden, set up by Germans at Jagiellońska street. In the middle of October 1944 the rebuilding of PZO was given a more legal character. 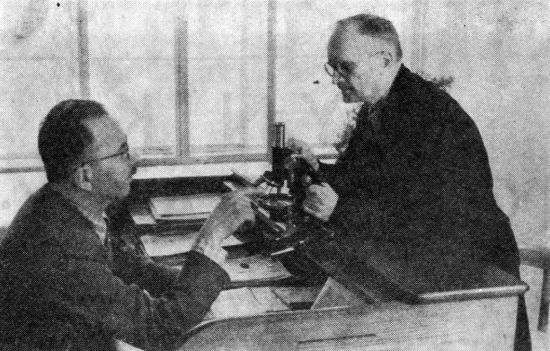 By an order of the Industrial Department of the Municipality a Temporary National Management for Polish Optical Industries was set up, consisting of three members: Wincenty Górski, Andrzej Wierzbicki and engineer Edward Hein, responsible for technical matters. Two weeks later they were given first loans and allotments for necessary materials to secure the floor surfaces before winter. Issues concerning wages and food rations were regulated as well – even in the first weeks of October people working for PZO were just given a loaf of bread. Already in November, though, a kitchen for the growing number of employees was opened at Kamionkowska 13 and by the end of December 1944 as many as 80 people were rebuilding the PZO factory. "City of Ruins" trailer. Digital reconstruction of Warsaw in 1945. While combing the ruins many raw materials and half-finished products were found along with tools, machines and parts of other devices. In the basement of F building they encountered a lot of polishing powder, burnish, optical glue etc. Machine parts, metal rods and sheets and other materials were discovered under the rubble. Because of such treasures the machines were slowly completed and the first simple products could be produced. In ruins they found a blower which became the basis of a bellow forge. The forge was used to create metal tools and to speed up the repair of other machines, found there. The repairs were performed at Kamionkowska 13 in the G building where a small optical shop was set up. In that building the first production started after the destruction of the factory: from mirror sheet glass some pieces were cut; then they glued them with the rear plates and polished the edges. So pocket mirrors for the army were created. Apart from that small repairs were performed and also orders not connected to optics for customers from the outside, like horse collars fittings. An important event took place in December 1944. While combing the ruins some precision tools were dug out which engineer Cegliński, endangering his own life, had buried in cinder while Germans had been evacuating the factory. These were sample templates, micrometers, fine wires, calipers and many other tools which proved to be extremely precious in the later stage of rebuilding the company. It should be remembered that at the turn of 1944 and 1945 the war was still going on. Praga was being under the Germans’ fire from the west bank of Wisła. The fire was deliberately the most intense during small hours in the morning and in the afternoon so when the workers were going to work or were returning home. In December 1944 near the already cleaned and developed area a missile was dropped. It didn’t do any direct harm but all window panes, obtained with such difficulties, were broken again. However, even such an event didn’t damp down people’s enthusiasm, quite the opposite, it made them more unite. Digital reconstruction of Warsaw in 1945. After the withdrawal of Nazis from Warsaw in January 1945 one part of the workers decided to cross the frozen Wisła river and go to the other side. It was the only road available because all the bridges had been destroyed. They wanted to check on the condition of their sister company, H.Kolberg &Co which was situated in Mokotów at Kujawska street. There was a hope that at leas one part of the equipment survived and could help the rebuilding of PZO. They had to hurry – after the departure of the Nazis the western part of Warsaw became a paradise for different looters and of course the Soviet Army had to take some “souvenirs” home as well. Fortunately the factory of Kolberg wasn’t destroyed. Germans didn’t managed to take a few optical machines with them. They also left abrasive materials, scale pans, casts of binoculars’ bodies etc. Everything was secured and then taken to Praga. After constructing a wooden bridge also six rescued 12-spindle machines from the factory of lenses for glasses, situated at Żelazna street, were taken. After the repairs four 6-spindle machines in good working order were reassembled from the rescued devices. There were a lot of such trips in search of anything that might be useful in the rebuilding of the optical factories. For example in April 1945 people found a tractor in a good working condition. As there was no power plant in Warsaw and electricity was delivered only to military institutions and some important government offices the tractor was altered to become a small power plant which would power the building at Kamionkowska 13. The tractor was transported to Praga, put inside the H building and, after purchasing a generator, left after the “Pustola” company, in the middle of April Weber and Trzeciakowski managed to construct a primitive source of energy. Because of fuel limits its maintenance was difficult, though. Fortunately soon the factory was connected to the municipal power network although not without some intensive efforts. Due to connections of a former PZO worker it was possible to fix for the factory a truck – it came from Gdańsk. 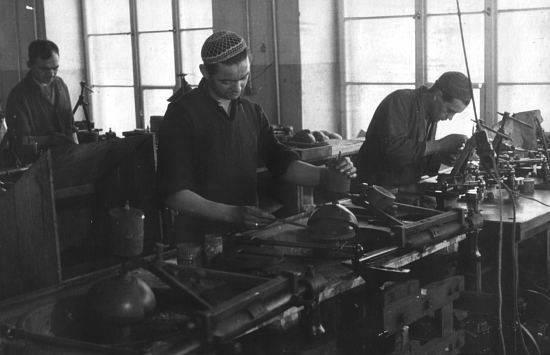 In the middle of 1945 two train lathes, a milling machine, two grinders, a turret lathe glass grinders and polishers were sent to the factory from Wrocław, Toruń, Pozań and Jelenia Góra. 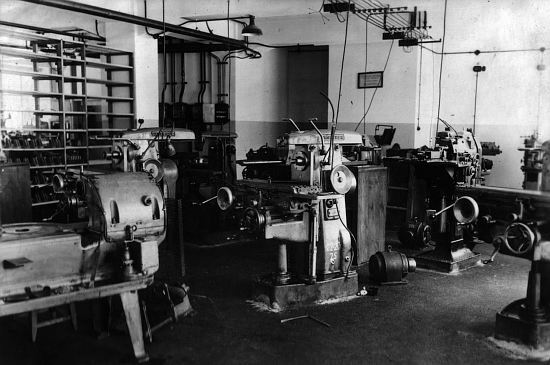 These and other machines, found, collected and repaired, were installed in the optical workshop at Kamionkowska 13 and in the B building at Grochowska 318. The electrification of PZO and new machines allowed a more diversified and efficient production. 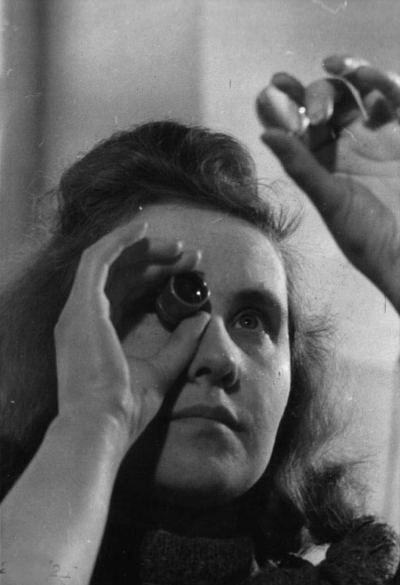 Till the end of June 1945 280 lenses for glasses were produced, over 50 thousand of pocket mirrors and 4 pairs of 6x30 binoculars based on German specification sheet. In the meantime the workers were repairing damaged office machines, geodesic tools and other optical devices. After the return of engineer Cegliński from Chechoslovakia in June 1945 there were made efforts to retrieve machines taken away by Germans. Cegliński knew perfectly well what machines were sent to Teplic- Sanova and, having been present on the spot, he even knew their precise location. However, the lack of any repossession agreements with Chechoslovakia and difficulties in identifying the machines were two factors postponing the operation; only at the end of 1946 and after three trips of Cegliński to Teplic- Sanova 65 machines were returned to Warsaw. In 1945 the works committee decided to open a network of optical retail stores. The first was opened in Praga at Targowa street and during the next two yeas next shops were opened in Łódź, Gdynia and two more in Warsaw: at Nowy Świat and at Bracka street. In those shops PZO products could be bought – glasses but also other precise optical tools. The profit went to the PZO account. Edward Hein, engineer (photo PZO Archives). 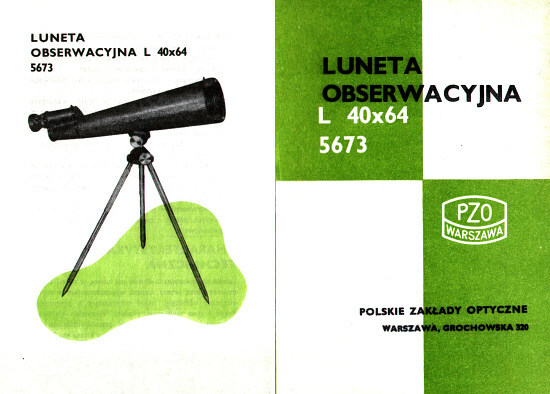 The demand for optical instruments was increasing steadily in postwar Poland. Microscopes were badly needed by health service and as the teaching aids in schools. There was no geodetic equipment either and sugar factories and breweries wanted their refractometers and polarizers repaired. 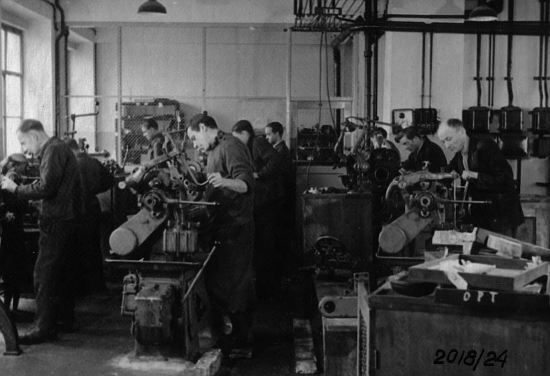 PZO assembled their machines and additionally there was a possibility of employing former PZO workers which were outside Warsaw or worked temporarily in other factories. In the second half of 1945 a serious decision, concerning the restructuring of the company, was taken. Engineer Cegliński was appointed to the position of director, taking over the duties of the 3-person Temporary Management. 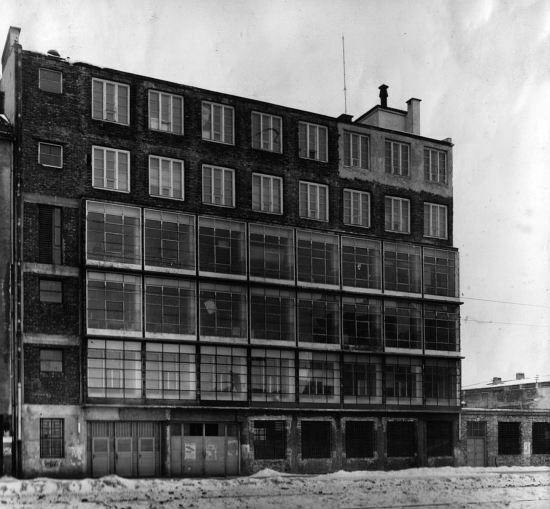 The expansion of the company involved either moving it to Łódź and adopting buildings left after the United Machine Tool Industry company or rebuilding the destroyed B building at Grochowska street 18. The choice of a new location in Łódź was better for the government from the economical point of view but, unfortunately, worse for the employees who didn’t want to leave Warsaw. Finally, at the end of 1945, after getting a loan, the renovation of the B building, completely burned by the Germans, was started. As more and more floors were finished, they were occupied by departments and production lines. Finally the whole building, with the total floor surface of 3,100 square meters, was put into operation after just one year. When the whole production was moved to Grochowska street 318, the buildings at Kamionkowska street were transformed into tied accommodations, a day room and an eating place. 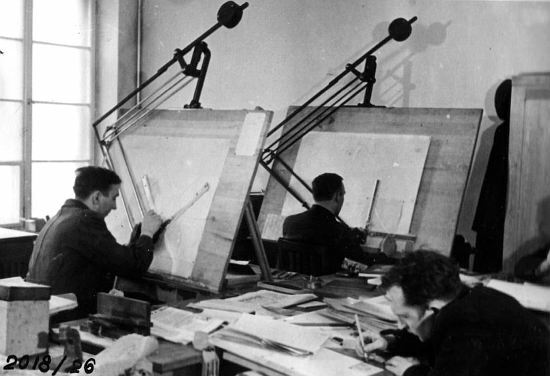 In 1946 the Construction Office, situated on the last floor of the newly renovated building, worked very intensively. They drew up diagrams of, among others, spherical shell spectacle lenses, loup magnifiers, a phonendoscope, achromatic lenses with the magnification of 10×, 20×, 40×, 60× and 100×, microscope eyepieces (Huygens, periplan, compensation and orthoscopic), microscopes with the magnification range from 6× to 170× (school microscope M-100, laboratory microscope M-200, a stereoscopic microscope Mst-120) and appropriate accessories. There was a lack of professional optics theorists – after Sidorowich left there was only one, Mr. Olszewski. That’s why engineer Matysiak, the graduate of l’Institut Superieur d’Optique in Paris, was moved from Jelenia Góra, where he had worked as the director of Jelenia Góra Optical Manufactury, to Warsaw. 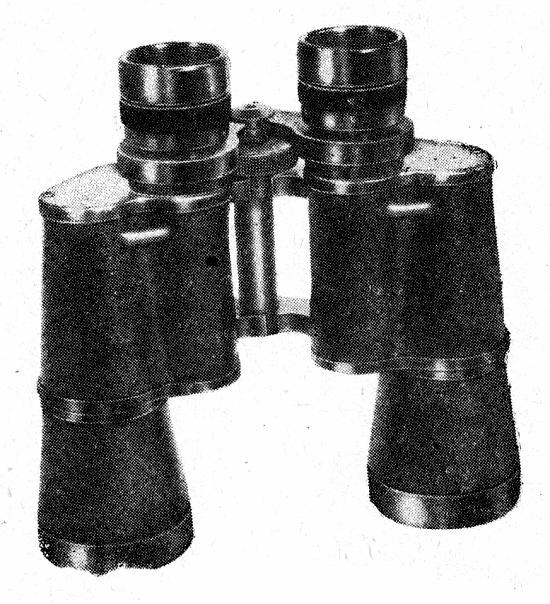 The design of the LP6×30 binoculars marked by the S10 symbol, was most likely based on documentation from the former Soviet Union. 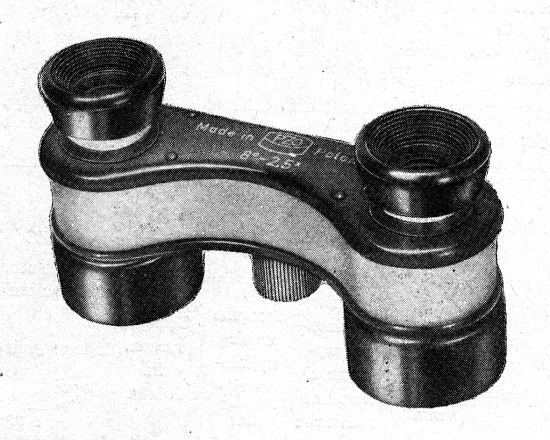 A bit later that pair of binoculars was transformed into the Lp8×30 model, by implementing a 5-element eyepiece. 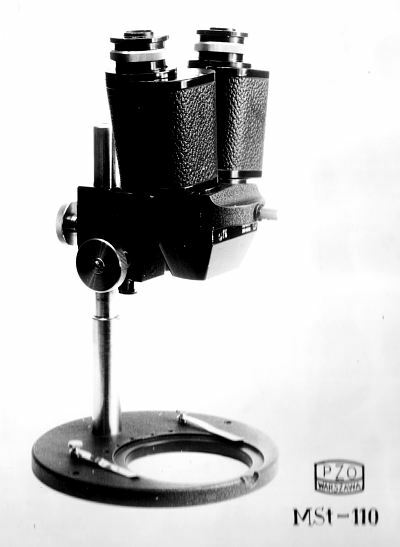 At that time PZO commissioned also the Central Construction Office no 4 which designed: dumpy level Ni47, topographic steering wheel Kr47, a workshop microscope Mw47 and educational microscope Ms-16. In 1947 the factory’s production once again couldn’t keep pace with the demand because there were more and more orders. 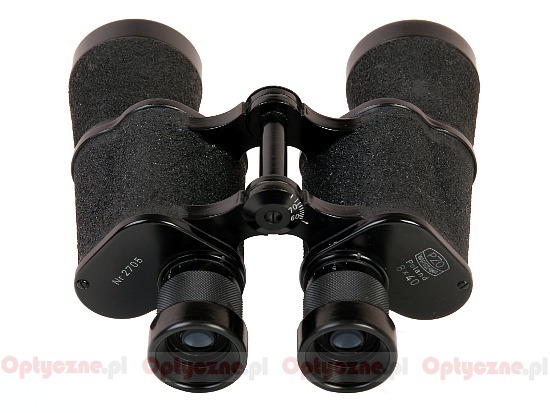 They even decided to give a part of microscopic accessories production to other companies: “Precision Optics Industries – Z. Muller” and “Optics – St.Kuliński”. Also a decision was taken to rebuild the A building at Grochowska. At that time the PZO management changed - Matysiak was made the director instead of Cegliński and Hein was given the post of the technical director. On 30 April 1948 the company was nationalized and included into the Union of Precision and Optical Industries. In the middle of April 1949 the A building at Grochowska 316 was put into use. The floor surface of the factory was increased by next 2,900 square meters but still the overall surface was two times less than before the war. However, the company entered already a phase of stabilization and fast development, the huge demand for its products making it even more secure. dumpy levels Ni2 i Ni5. 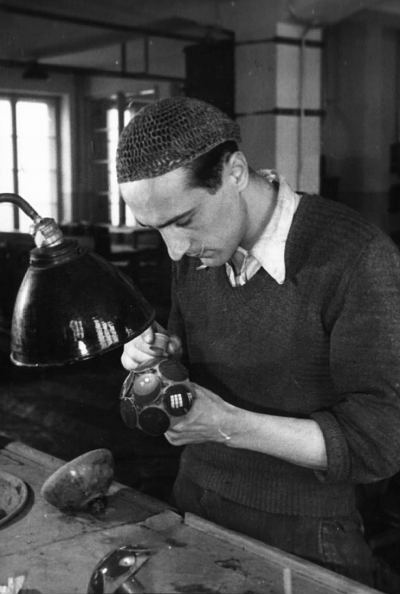 In 1950 they produced over 20,000 different kinds of loupes, nearly 3,500 different microscope models and 22,000 eyepieces and microscope objectives, almost 80,000 spectacle glasses, over 1500 projector objective lenses “Lucar”, several thousand of geodesic tools and over 30,000 of parts of different kind for optical cameras. In 1951 1070 people worked for PZO. The level of employment shows how much the company managed to achieve just 5 years after the complete destruction. In 1951 Heavy Industry Department decided to allot to the developing PZO company a 6-storey building at Owsiana 2/4 which had been previously the property of the Society of Bureau Machines. 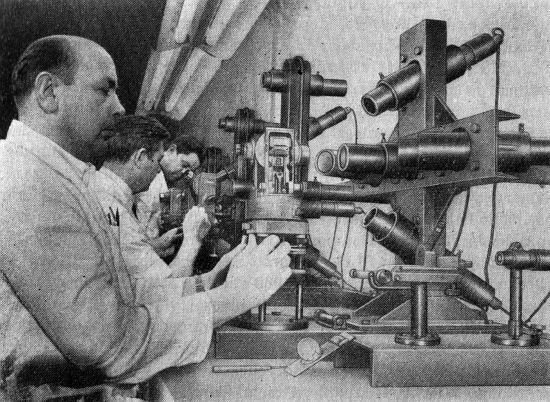 The optics and assembly divisions were moved there and the complete adaptation was finished in 1953. In the same time the block of flats at Grochowska 320 was reclassified as office space and classrooms for the Technical College of Precision Mechanics, to educate the future technical staff. During one year a 3-storey building at Kamionkowska street was build to house the Chief Mechanic Division and the Surface Processing Division (a paint shop and a galvanization shop). In years 1951-1953 they recruited intensively the former PZO employees but also hired ordinary workers. At that time when they became aware that they must put more emphasis on their own constructions and give up very cumbersome license documentation. In 1953 an experimental shop was created where new constructions were made and tested. It consisted of physical, chemical, endurance and photochemical laboratories. They were situated at Owsiana 2/4 and managed by Zygmunt Legun. That’s why, at the beginning of the 50s of the 20th century the production was sped up significantly and the PZO company, apart from satisfying the local market demand, started to export its products to, among others, China, Hungary and Romania. 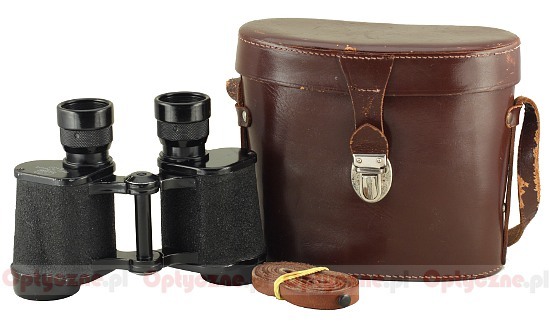 The products sent abroad were mainly microscopes and their accessories. First years of the operation of laboratories at Owsiana street brought, among others, a new glue (karbinol) to join optical elements. It was called balsamin. It was more resilient and termally flexible than the Canadian balm, used so far (fir tree resin) as it could withstand the temperature range from –60 to +80 degrees Centigrade. Also in 1953, the first equipment (English Edwards) for vacuum covering thin layers of metals and dielectrics on optical surfaces started working there. Coatings which were used first, were aluminum layers on mirrors and anti-reflection layers of magnesium fluoride and ortosilica ester. In years 1954-56 due to previous arrangements, the company started the production of 40 new devices which design was based mostly on their own technological constructions. Among those there were: dumpy levels Ni7 and Ni4, minor photographic equipment – an enlarger lens, photographic filters and photographic apertures; refractometers (RR-1, RR-2 and RR-3), traveling microscope MBP-2, a microfilm reader CM. 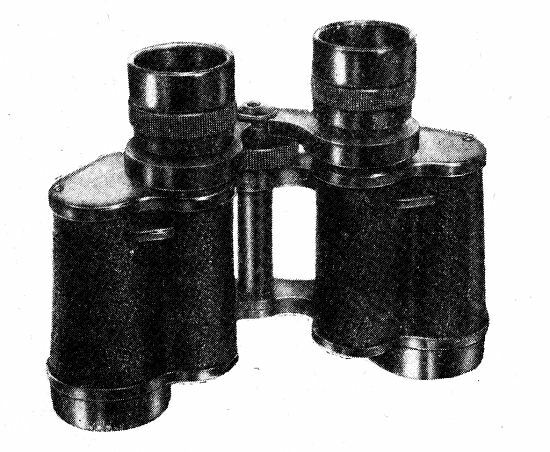 They also produced a theatre binoculars Lte (Galileo prisms, with constant distance between eyepieces) which was designed in 1954. It was available in several colours along with a nice case. In 1956 already 38 different kinds of products were exported to an even wider range of countries such as: China, the Great Britain, Canada, Bulgaria, Italy, Spain. Apart from the increase of the production volume of different instruments and widening their range, they also tried to normalize and unify construction elements and use them in newer technological processes. Pressure cast forms were used, plastics more and more often substituted non-ferrous metals, optical elements were covered by anti-reflection coatings and, taking care also of the appearance, they used backing varnishes. 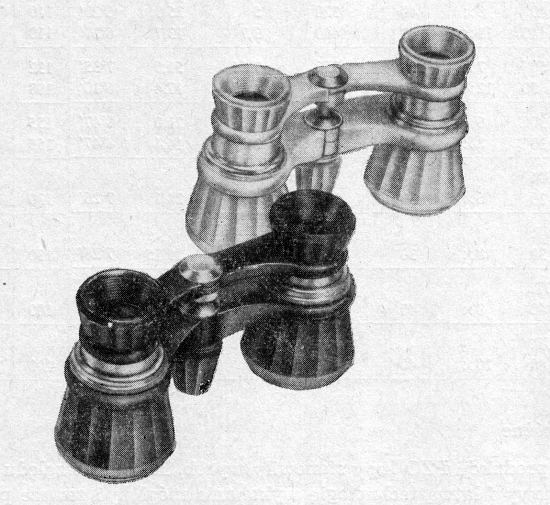 Thinking about conquering foreign markets, in 1957 the PZO construction office designed a project of a „shortened” pair of binoculars, called “short”. It was marked by the Lp6x30c symbol and featured a central focusing system. It was also by 22% shorter than its older version so physically lighter and more handy but with the same field of view. Airtight and waterproof qualities were enhanced by using, among others, the so called static and dynamic bellows –type seal of eyepieces. 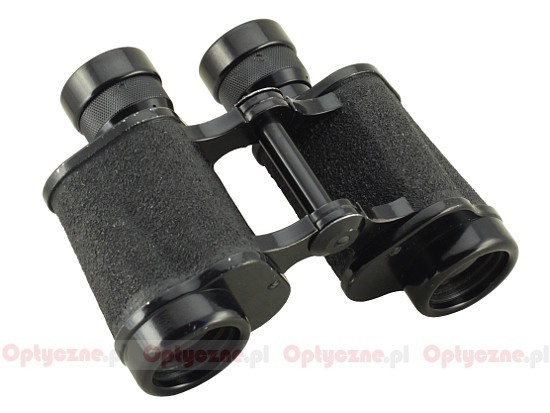 The main creators of the binoculars were Janusz Olczak, engineer, and Janusz Niewiadomski, engineer. 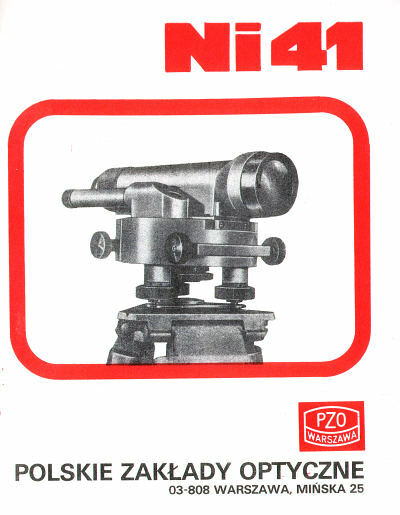 The same year a spotting-hunting scopes LC4x30 was designed. Zbigniew Albinowski and Antoni Ruszkowski were the authors of the design. It could be used as a telescopic sight with any type of hunting firearms. Unfortunately after some time flaws of that product became visible – they were connected to the form of the vacuum cast body of the product and they couldn’t be removed. That’s why, most likely at the beginning of the sixties, the production of these rifle scopes was stopped although the demand still remained very high. 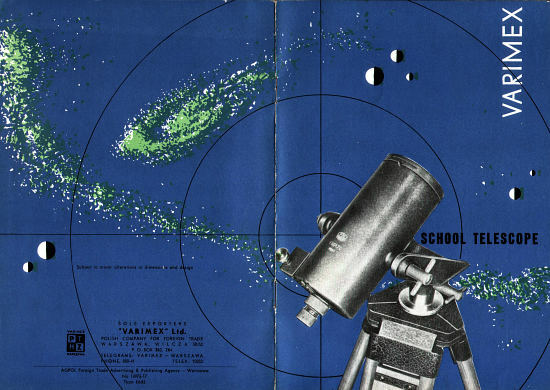 The year 1957 brought also the legendary telescope L40X64. It has enjoyed for years continual popularity because of the offered magnification, high resolution, good fastness and low weight. It was used on shooting ranges for checking the results and during different sports events as well. It was a basic nature observations instrument, used also in forestry, rescue and communication services and in astronomy as well. Its constructors were Antoni Durski, optics specialist and Janusz Niewiadomski, a mechanic. 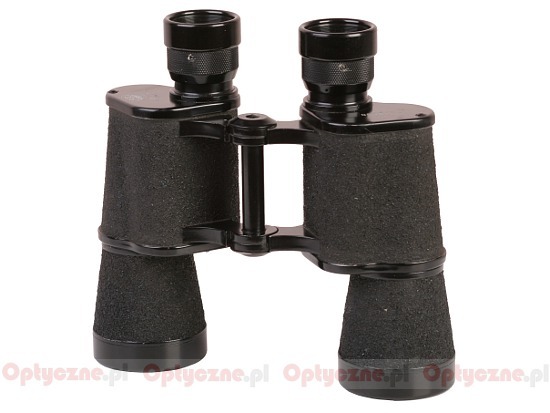 Not many people know that Polish Optical Industries produced also an astronomical telescope. Janusz Olczak and Janusz Niewiadomski designed in 1958 the T50×70 telescope for schools and astronomy enthusiasts; its main mirror was 70 mm in diameter and its focal length was 765 mm. 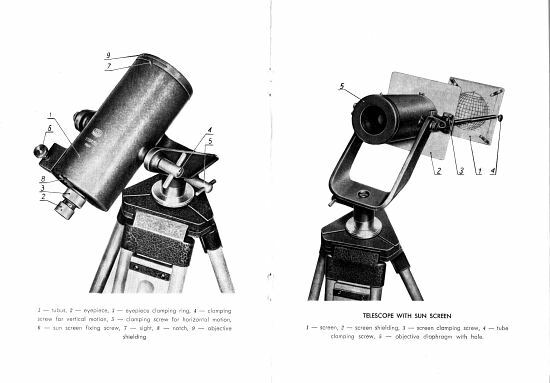 A compact Maksutow instrument, it was offered with two eyepieces with 15 and 8 mm focal lengths, providing the magnifications of 50 and 92× respectively. Along with the case and accessories it weighed 4.5 kg. 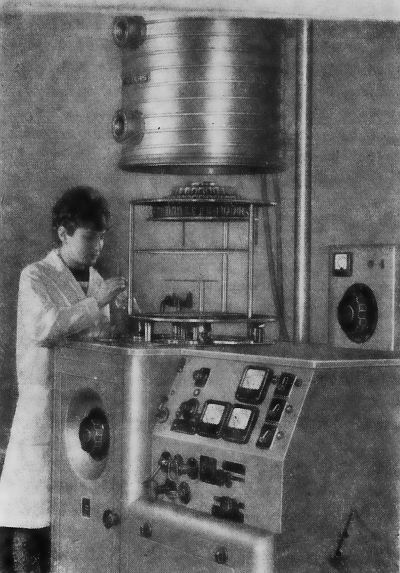 In 1956 the old machines were replaced with more modern and efficient ones. About 80 machines were imported from Czechoslovakia and GDR (machine tools, lathes and milling machines). It was a result of the trade agreement with the People’s Republic of China. PZO undertook to export to China products of the value equal to 45 million zloty. Without new machines the factory wouldn’t be able to fulfill the agreement and still they had to send almost all six-month production. Eventually in 1958 they exported overall a 37 million’s worth of equipment. In 1959 a new technology was implemented. To secure and harden a layer of aluminum, coating a mirror, they started to powder-coat a layer of silicon oxide in vacuum ovens. It is a method which has been used up to now; it prolongs 10-20 times the life span of aluminum on a mirror. in 1960 – Mikar MKr55 lens with the focal length of 55 mm for enlargers, theodolites T30 and T6. At the beginning of the 60s a significant development in the usage of anti-reflection coating took place in PZO. During the next several years all optical parts, produced there, featured at least magnesium fluoride coatings. The way of applying them and their quality were improved; so were their mechanical durability as well as their chemical resistance with the simultaneous increase of optical properties. Also a two-layer coatings of titanium dioxide and magnesium fluoride was designed along with coatings for the instruments with close to infrared working range. They started to use beamsplitter coatings of inconel instead of aluminum ones which improved the colouring of microscope images. 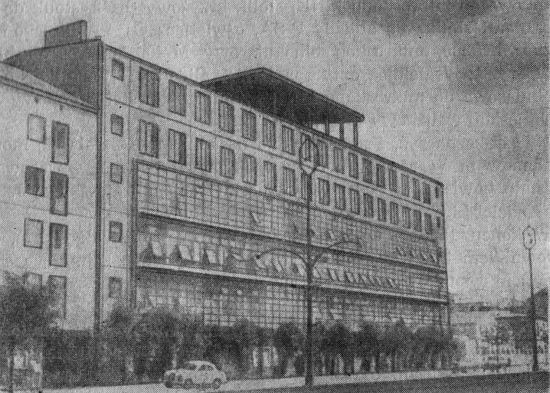 Following a directive from the Heavy Industry Minister of 8 July 1961 PZO was merged with Warsaw Mechanical Carpenter’s Shop and Geodesic Equipment Manufacture. After the merger these factories became the divisions of Polish Optical Industries, producing solely for PZO. One of the landmark moments in the history of PZO occurred in 1962 when the interference- polarizing microscope PMI was created. It was a result of a joint-venture of PZO and Central Optics Laboratory. By the way they mastered the production of quartz elements in the factory. 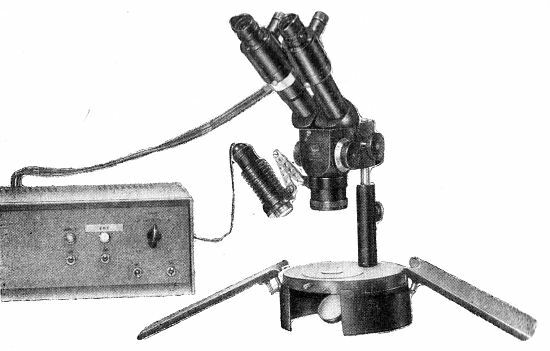 Two years later, basing on the MPI they created one of the most versatile microscopes at that time worldwide which was made by combining the interference- polarizing lens MP12 and MB30 microscope. The possibility of image projection was, at that time, tantamount of modernity and a huge technological leap in didactics. 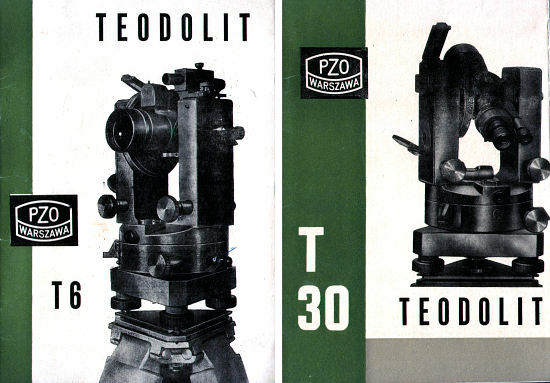 Other new instruments were also the dumpy level Ni41 and theodolite- compass TB1. 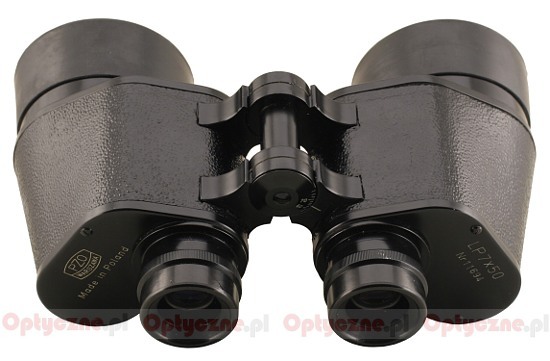 In 1962 and1964 they started the production of new prismatic binoculars with the following parameters: 7×50 and12×50. The instruments were designed between 1960 and 1961 by Janusz Olczak, engineer, and Antoni Kowalski, engineer. 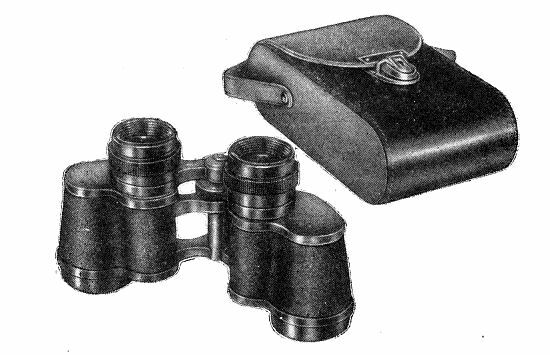 The development of shipbuilding contributed to their production as it created a demand for binoculars with a big objective diameter. 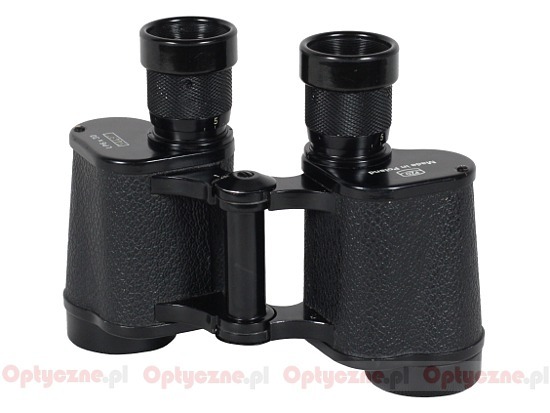 Apart from that, starting from April 1963, they produced modernized versions of old binoculars based on the project of Olczak and Kowalski, featuring central focusing system. Models marked with S letter appeared on the market: Lp6×30S, Lp8×30S, Lp8×40S and Lp11×40S. 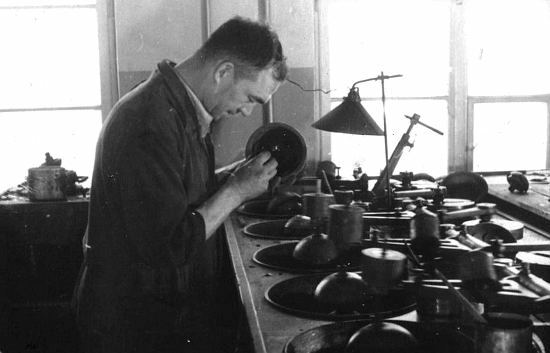 As the technical level of the factory increased and PZO was developing fast, from 1963 they also were officially servicing Carl Zeiss Jena instruments. As the demand for the products was definitely higher than the production capability of the factory in 1964 the suggestion to expand PZO was put forward once again. There was no available place for other industrial buildings on the land belonging to PZO at that time. They took into account areas near Warsaw: in Kobyłka, Zielonka, Ostrołęka, Chotomów or Wyszków. After the 4th Polish United Workers' Party rally (PUWP, Polish: Polska Zjednoczona Partia Robotnicza - PZPR), when factories from Nowa Dęba, Świdnik and Kielce, producing two-wheel vehicles, assured that they would keep the production of motorbikes on a sufficiently high level, another idea concerning the PZO extension appeared. Opposite the factory, on the other side of Mińska street there was situated Warsaw Motorbike Factory. A decision to merge these two was taken. Step by step the motorbike production line was to be liquidated and the WFM crew - retrained to join PZO workers. Officially the merger of Warsaw Motorbikes Factory took place on 1 January 1964. WFM produced motorbikes until 1966 (but theoretically these were PZO motorbikes then) and, for the next year, spare parts. Most of the WFM crew was retrained and, after attending appropriate courses, started working for PZO. However, some blue-collar workers had problems with changing their job and not all of them managed to find their place in an optical factory. 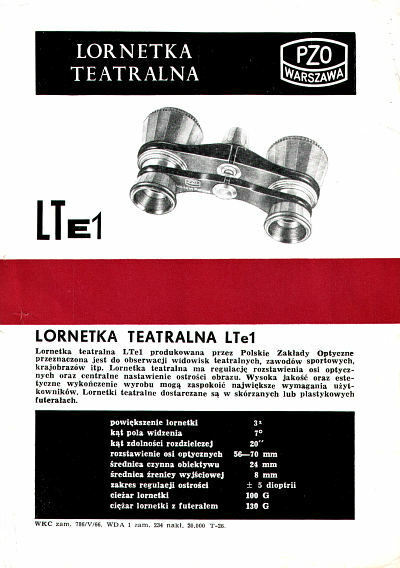 In new buildings at Mińska street in 1966 were produced, among others, first ten specimens of theatrical binoculars Lte1 – the successor of the Lte model with the possibility of changing objectives’ gauge. 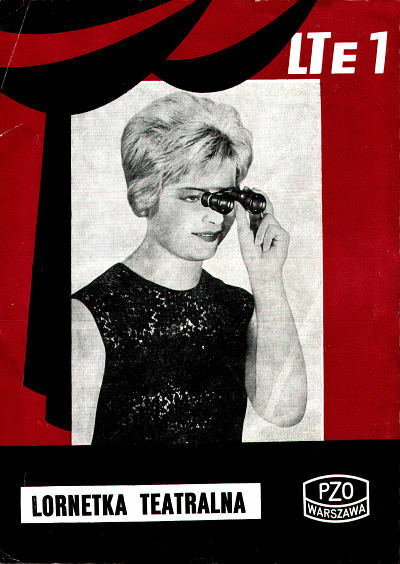 In years 1965–66 the technology of complete immersing of optical elements into plastics was mastered. That way they were able to speed up the production of, among others, loupe magnifiers with 3 and 5x magnification ratio and photographic filters. Apart from that they started using other glues than balsamin – among others polyester glues (polimal 100) epoxy resins (ETD) metacrylics, polyisobutylene and epoxy concretes. A technology of degreasing wol, used for cleaning optical elements, was drew up too. In 1965 PZO products were already exported to as many as 46 countries around the world. Microscopes constituted 65% of exported goods. One of more interesting and more prestigious customers of PZO was the international UNICEF organization. 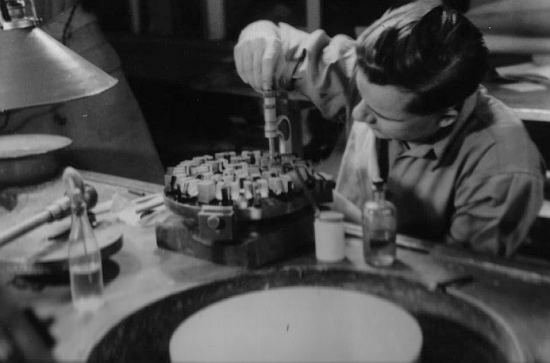 In years 1965-66 over 4,500 microscopes were produced for them. The next part of our PZO history cycle is supposed to encompass years 1967-1989 and the next – 90s of the twentieth century and contemporary heirs of PZO. Unfortunately and quite paradoxically the closer to our times we get the less materials and hard facts we have. 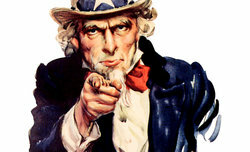 Facing such a lack of info we would like to ask our Readers for help. If you happen to have any information concerning PZO products from those years – leaflets, diagrams, good quality photos – please do not hesitate to share them with us and other Readers as well. Thanks a lot in advance!